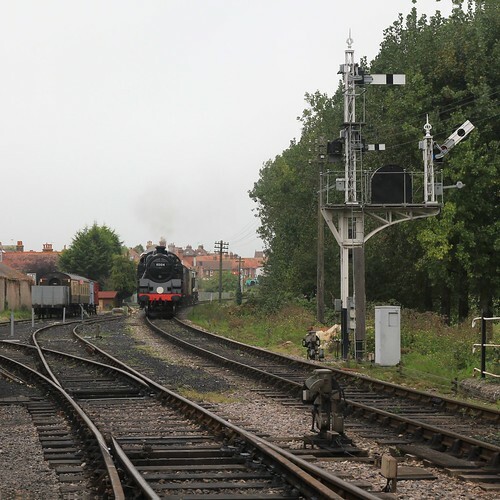 BR Standard 4 tank 80104 arrives in Swanage with a pick-up freight. 80104 was one of the engines I'd helped clean that morning (I was even clambering over the cab roof at one point!) and it's always great to see a machine you've had a hand in looking after doing what she does best. Note that this photo was taken from a location which is not accessible to the public.